yeah, I can't explain it. I am thinking too that it was not ordered by a customer, as then I would assume it would have to be ordered through the Exclusive program and therefore have an exclusive build option code. What is also weird is that this car was bought through a Belgium PC, but immediately re-registered in Spain. The first owner was in fact a Swede who had a holiday villa in Spain - so it was a 'vacation' car until she imported it back to Sweden in 2009. So I get the feeling that Porsche built this car as a show car, to display all of the leather options available, of which a PC in Belgium picked up off the Porsche build list and brought it into stock. Then the 1st owner fell in love with it on the show room floor and bought it (otherwise why not order it from PC in Sweden or Spain?). I could stand corrected, however this is at least how it worked with BMW when I worked for them in the early 2000's... any BMW dealerships in Australia could see what cars were being built for Australia... which ones on the factory line were being built for customers and which were being built to fill the import quota... so if a dealer saw a nice, unique example, they could nab it for their own stock. You have a very nice looking 996 Turbo. 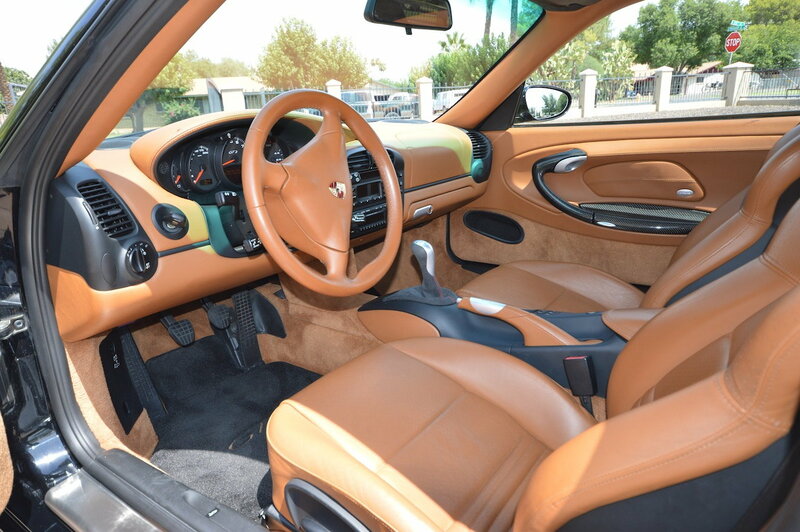 Not usually a fan of that light brown but that is a gorgeous interior IMHO. Kjk - beautiful car you have there. 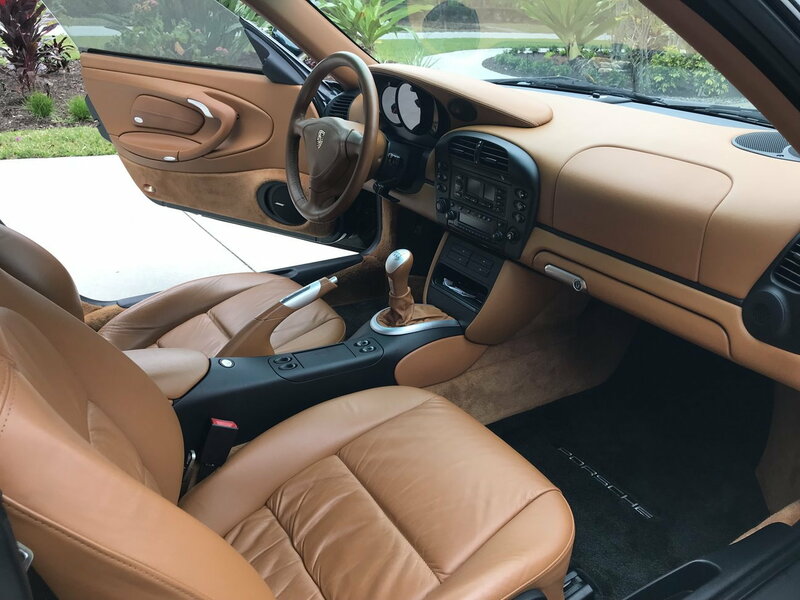 I realize that you have the beautiful natural brown interior, but note to tan, gray and boxster red interior owners: those black and aluminum accent pieces and floor mats are how you can really make the interior pop. If I am not mistaken, I believe that is a 2-tone factory code interior. 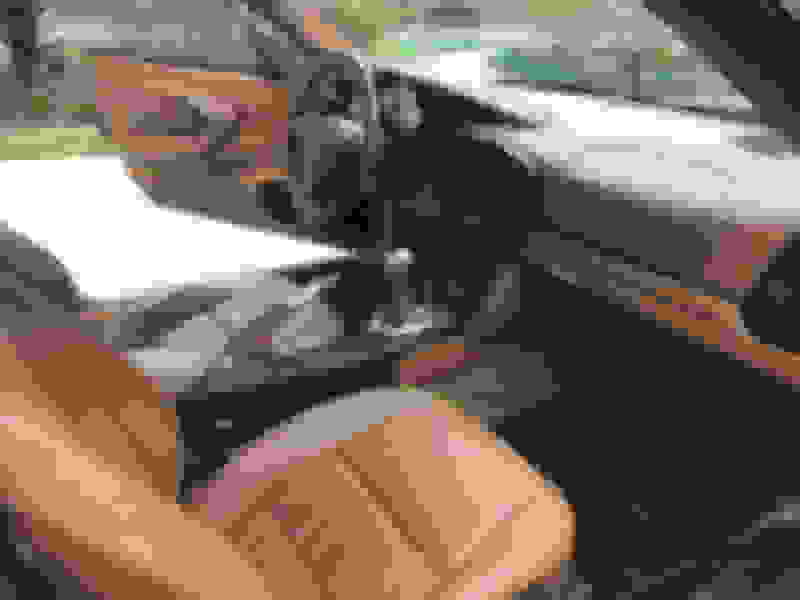 But, if I had an all tan, gray or boxster red interior, I would immediately go about sourcing replacement bits and pieces of interior trim to copy that design. I really like the satin black trim, makes it look very classy with the contrast.. Convinces me to take the same approach but working on getting as much of the wood out as possible now. Beautiful. I really like the satin black trim, makes it look very classy with the contrast. I could not agree more. Here is my GT3 interior in Natural brown over black and factory center console delete. When you say it runs a little rough are you talking a hesitation or miss? Or something else? Just curious, I'd like a cab at some point. I've been watching this one and it sold this week. Wonder what they paid for it? 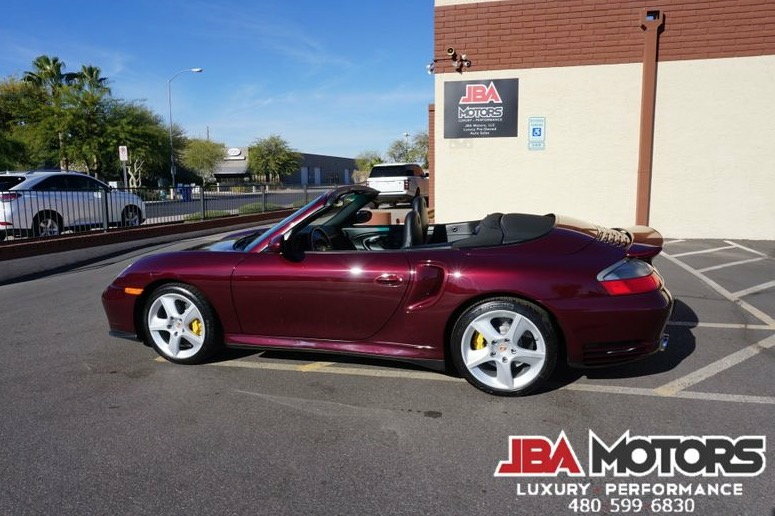 This is a real 2005 Turbo S, with the techno rims, which many value. I drove this last weekend and it ran nearly perfect, but it was just a little rough. Just some minor wear inside but no major scratches. It had an original half clear bra but the left fender clearbra was removed as the dealer said it started to peel so they removed. It. The car had a few knicks, but the headlights has some wear and micro scratches which tell me it may have been left outside. I could not get past the color either, just not for me. The x50 tip turbo lag is a real thing, but it's a beast once spooled up. I think it's priced accordingly. It just sold I wonder what they paid for it! Last list was $51,950, so I'm guessing they settled on $50k, and that's about where it probably should be. Man, super low miles on that yellow rocket, nice. Holy cow that yellow car is nice, but that price is CPO 991.2 C2S territory. My unwavering allegiance to the 996tt notwithstanding, I don't think I'd pay anywhere near that much even for a quasi-museum piece, I'd probably go for the 991.2. Marshall Goldman is usually 25% above fair value, except last summer I recall they had a car that not only looked gorgeous but they were asking a price that seemed low-ish, not sure what the story was, I think it was a nice color if I recall correctly. Getting close to pulling the trigger on a 458.. Will not have room for 2 supercars!! Matt, what is the current mileage?